POWERFUL, ON-TRACK, AND FULL OF STEAM! I seldom looked at the picture; the phrase “lose their steam” was an insult to my father, R.B. (Roy) Miller. A Locomotive Engineer, my father had a perfect record with the Cotton Belt Railroad. In fact, most of my family had a personal connection with railroads. 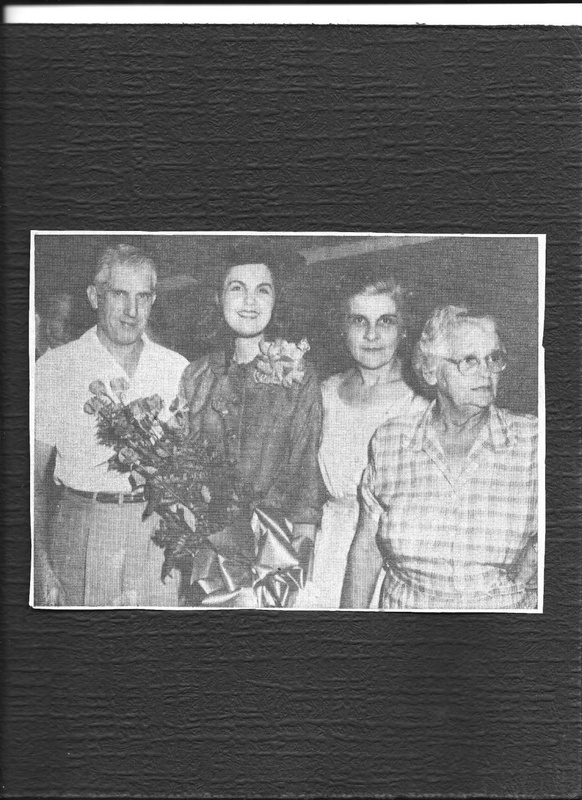 My great grandfather spent many years with the railroad as a carpenter and his daughter, my grandmother, worked as a secretary for forty years with the Cotton Belt. After leaving college, my brother proudly served as a roundhouse foreman at the Cotton Belt Shops until his death in 1994. The railroad put food on our table for many years. Our family had great respect for the railroad and no one was more committed to the railroad than my father. I watched him begin each day with a determined “Full Steam Ahead”. My father grew up in Missouri during the depression years. As the oldest of five siblings, he had no choice but leave high school in the ninth grade to help his father, Amon Burette Miller, support the family. I remember the summer I was job hunting and my father mentioned a few of his more distasteful summer jobs like painting barns, shoveling excrement from out-houses, and butchering hogs (his least favorite). All involved long hours but only a few dollars. He smiled when he talked about the day he was hired by the railroad, calling it the most memorable day in his young life. Oh, how he loved his railroad job! Years later, after more than forty-three years of railroad service, Roy B. Miller had a perfect attendance record. My father had never missed one day of work. During my father’s time with the railroad, Cotton Belt Locomotive Engineers were officially retired on their seventy-second birthday. For most engineers, after years of climbing off and on an engine; years of taking work orders in the early morning hours; years of spending nights away from home…. mandatory retirement was a time of celebration. But, my father had a different reaction. The idea of ending his love affair with the railroad-- made him sad. If given a choice, my father would have remained an active, Cotton Belt Engineer until the day he died. In 1982, with his seventy-second birthday a few weeks away, Daddy spent most of his time outside, aimlessly walking around the yard he loved, looking at everything but---focusing on nothing. The last time we were together was Christmas, 1987. I couldn't move beyond a nagging premonition. When it was time to leave, I gave Daddy one last hug. Holding him close, I told him over and over how much I loved him and I promised to call as soon as my plane landed. He cried, quietly, as he held on to me like a lifeline, his tears marking my coat collar. Whispering softly, afraid my mother might hear, Daddy begged me not to leave him. It was as if he, too, sensed this would be our last time together. As my car backed out of the family driveway… I lowered the window to say “I love you, Daddy”. Watching his unsteadiness as he struggled to return my wave, I knew for certain---this would be our last shared moment. Today, approaching a railroad crossing, bells began clacking….red lights started flashing…. and safety barriers dropped. Sitting in my car, I stared down the track at the approaching train. Decked out with flags, streamers, and banners, a restored locomotive came steaming, parading down the track--clickety-clack-clickety clack--moving toward some unnamed celebration. Out of respect for the historic engine, I opened the car door to stand at attention. The massive steam engine roared past, its train wheels clicking out its familiar sound, its steady, staccato rhythm. My heart pounded with childhood excitement as the antiquated train whistle blew a loud, continuous refrain. All my life I’ve loved trains, but this train was no ordinary train; this train was special. Watching the steam engine, hearing the whistle, I remembered my father. For the first time since losing him, I felt a deep-down peace. I straightened my shoulders and stood tall, proud to remember my father’s life rather than his death. Smiling, I pictured the embroidered message “old engineers lose their steam.” I realized those words were never meant for my daddy--- the world’s greatest locomotive engineer and greatest father.